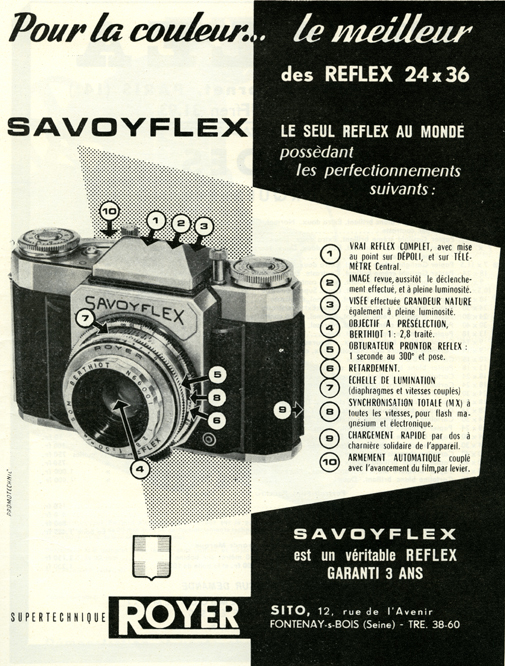 Manufactured in France from 1959 until after 1961. 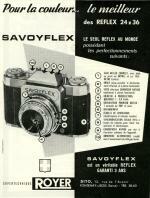 Royer is one of the rare french manufacturers to have introduced one 24 X 36 SLR into its range of cameras. Royer did it since 1958, with three different models. II recognizes because at the base of the lens is a large ring making it possible to regulate the focusing distance. 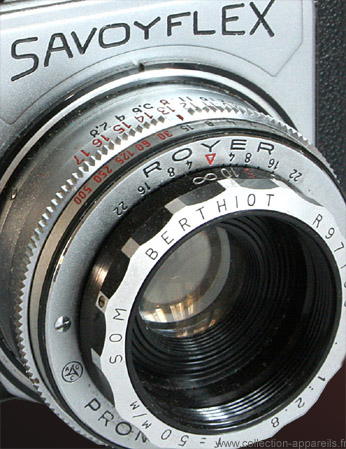 As for the two other models, the lens is not interchangeable. Complements can be screwed made of frontal.